2-1-1 is the number to dial to reach the Crisis Hotline and Information Center in Licking and Knox Counties. Just as you dial 9-1-1 for emergencies, dial 2-1-1 for non-emergency information and referral. Their human service referral database is comprehensive and up-to-date. You do not have to be in crisis to call and their services are free. Their phone operators are highly trained. They treat your call confidentially and help you navigate through the maze of community services in a nonjudgmental manner. Aktion Club is a service club for adults with developmental disabilities worldwide. Please contact Jeanette Carpenter 740-397-4475 or jcarpenter@knoxdd.com to gather more information or to join! 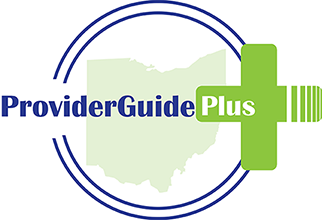 The Ohio District 5 Area Agency on Aging is responsible for developing a comprehensive and coordinated service system for older individuals residing in Ashland, Crawford, Huron, Knox, Marion, Morrow, Richland, Seneca & Wyandot counties. They are a private, non-profit Agency, designated by the State of Ohio to be a Planning and Service Area (PSA). The Ohio District 5 Area Agency on Aging is here to help. Please do not hesitate to contact them with any questions or to inquire about your needs. Call (419) 524-4144 or (800) 860-5799. The Early Intervention Family Advisory Committee is a group of parents in Knox County that share resources and information with each other and the community. ICAN2 (Involvement, Community, Adovcacy and Networking Too) is a group of Self-Advocates who come together to make accessibility a priority for Knox County. If you are interested in joining this group, please reach out to Cindi Strawser or Bessie Cline. Know Your Knox is a newsletter with a list of upcoming events, activities, and classes in Knox County. New things are scheduled every day so this is not a complete list but can be used as a resource. Event dates and times are subject to change so please check in with the website provided or the contact person given to confirm details before attending. Come join us as individuals and family members impacted by autism share resources, best practices and help plan autism-related training and services provided in Knox County. Contact Andrew Taylor 740-397-4621 or ataylor@knoxdd.com for the schedule. They're anyone and everyone concerned about the impact substance abuse has on our community. The Public Library of Mount Vernon and Knox County has partnered with ICAN2 to bring an opportunity for families to check out sensory friendly toys! View the brochure to get more information!